The Global Poverty Project (GPP) has announced the Global Festival 2012, a multifaceted event culminating with a free ticketed concert on the Great Lawn of New York’s iconic Central Park on September 29, 2012. 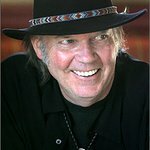 Neil Young with Crazy Horse, Foo Fighters and The Black Keys will headline, supported by Band of Horses and K'naan. The Global Festival, which celebrates achievements made towards eradicating extreme poverty, has been timed to create awareness around the UN General Assembly in New York, when world leaders will convene to debate the Millennium Development Goals and make commitments to end extreme poverty. Tickets to the concert can be earned through the new online platform, Global Citizen. Global Citizen will offer a wide cross-section of content and actions about international health and development issues, ranging from videos to in-depth white papers. It will also showcase non-profit partners and social entrepreneurs that are working in each of these areas, as well as academics, writers, celebrity spokespeople and music artists who are involved in these particular issues. Each fan can simply choose from a variety of cause related actions to complete on the website, become a global citizen and qualify for free tickets to the concert. While progress has been made to achieve the Millennium Development Goals, an estimated 1.3 billion people still live in extreme poverty, on less than the equivalent of $1.50 per day. Among the issues the Global Festival and Global Citizen platform will seek to impact is the global effort to end polio, cases of which have been reduced by more than 99% since 1988. By bringing together thousands of people to take action, this generation can make history and finally eradicate the disease. “By giving every child a chance to thrive, our generation can end extreme poverty,” said Hugh Evans, CEO, The Global Poverty Project. Tremendous strides have been made to improve the lives of children, including the effort to provide every child with the vaccines they require, but there is much to be done and the need for action is urgent. The Global Poverty Project aims to motivate a generation to take 100,000 actions by September and take a stand against poverty. The free concert will serve as the culmination to the Global Festival, with the event in Central Park celebrating actions taken towards ending extreme poverty in our generation. Global Citizen will serve as a permanent platform by providing on-going information and announcements for action that can lead to lasting change. The event is being produced by Goldenvoice, supported by the Pratt Foundation, and is only possible because of the critical funding from the Sumner M. Redstone Foundation that allowed the Festival to move forward. Art and other creative elements of the festival will be produced by Milk and the HOPE Campaign. Supporting non-profit partners include: The Earth Institute, World Food Program USA, Pencils of Promise, The Global Partnership for Education, Half the Sky, Rotary International, World Vision, Malaria No More, Rainforest Foundation and U.S. Fund for UNICEF. Starting today, people everywhere are invited to sign-up and begin participating in actions to be entered in the ticket lottery. More information about the bands, artists, schedules, and event can be found here. A small number of VIP tickets are available for purchase and all net proceeds go to the charity.